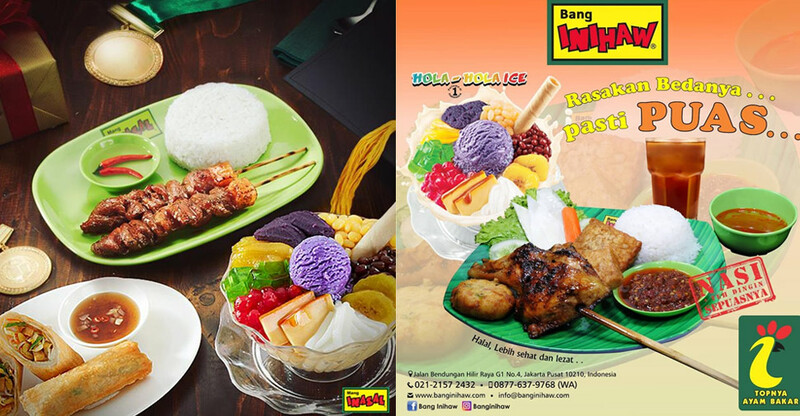 (LOOK) Is There a Mang Inasal Copycat in Indonesia? Blatant copies are rampant in the restaurant industry, from names to dishes to whole concepts. Sometimes it goes under the guise of wit: Look at the number of establishments in Metro Manila named Lord of the Rinse or Facebuhok or Starbuco. But infringing on other people's trademarks with a lookalike concept is another matter altogether. It may be an easy way to get a business up and running, but it's flat-out cheating and thievery. So when we chanced upon a rather familiar-looking restaurant in Jakarta, we had to do a double take to make sure we weren't back in the Philippines. Bang Inihaw is a newly opened restaurant in Jakarta. It "soft-opened" on May 18 and describes itself as the "master of barbeques in Indonesia." The catchphrase is: "don’t think, don’t ask. just eat and feel the difference." For Filipinos, however, it may be more about the sameness than the difference. According to one Instagram post, Bang Inihaw is owned by the Bambi Group of Companies. Instagram user @derryraspati actually inquired if the owner was Indonesian or Filipino and commented that the concept was similar to Mang Inasal. In a response handily translated by Google, the page moderator said that the owner was an Indonesian who had lived in the Philippines for awhile. The owner was stated to be "half Indo, half Filipino," adding that the restaurant is a combination between Indonesia and Filipino and describing it as the "best of both worlds." 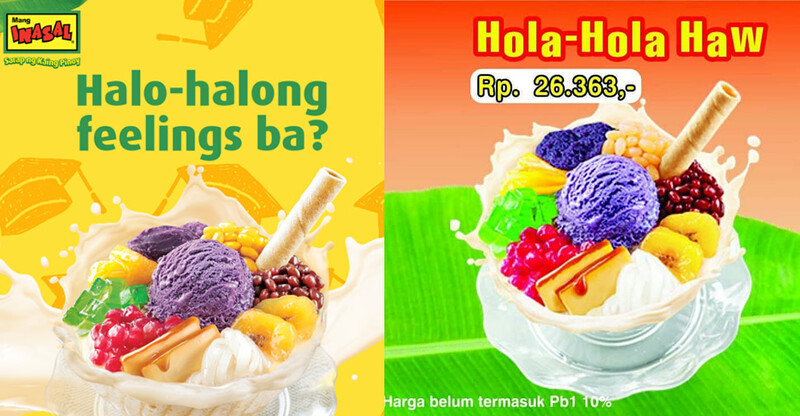 While the visuals are uncanny (just look at that halo-halo rechristened as hola-hola—which doesn't have an Indonesian translation), some menu items are different. It goes without saying that pork is off the menu. The options are halal, and there's a little side salad with every meal. 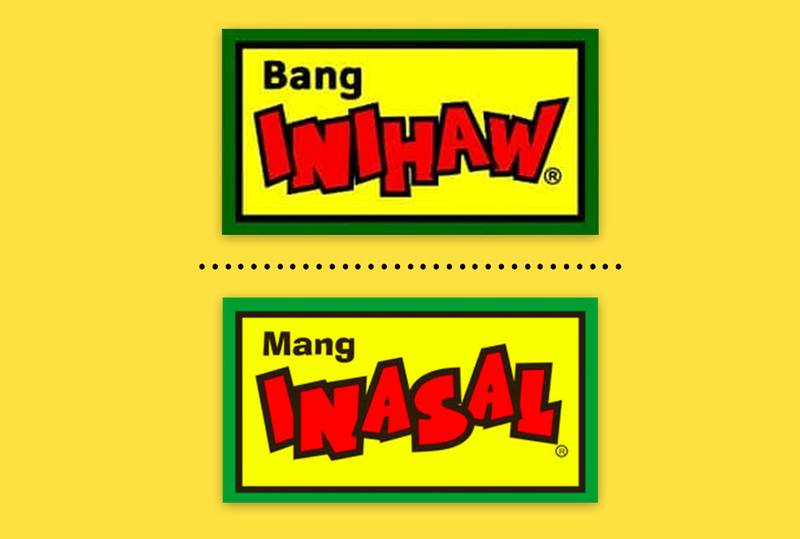 We contacted a representative from the realÂMang Inasal, who said they haveÂneither have branches in Indonesia, nor do they have any affiliations with a restaurant there. Maybe this is all just a coincidence.